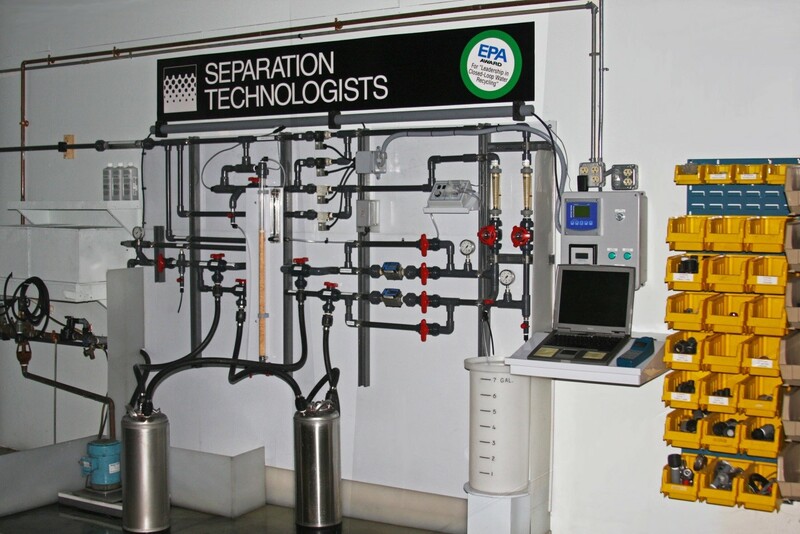 For over 30 years, Separation Technologists has been designing and selling industrial water treatment equipment that uses a combination of particle filtration along with carbon and resin to remove organic and ionic impurities. During this time we have determined the best methods for using Ion Exchange Resin in heavy metal removal and creating high purity water. For example, we developed a process to remove arsenic in both of its forms, As (III), known as arsenite, and As (V), known as arsenate. The most common way is in bulk form. This can be a 7 cubic foot drum or a 1.25 cubic foot carton. Customers ship their spent tanks to us to be washed and refilled with new product and then shipped back to them. Local customers are welcome to drop off their tanks and return to pick them up. Buyers of our media will be pleased to know that they have access to discounted pricing. With a one year exclusive commitment to our STI Blanket Purchase Order Pricing Program, customers will be able to reduce their cost of media. The price will be valid for one year and free technical phone support for their treatment system is included. Only purchase what you need. No minimums or maximums to worry about! 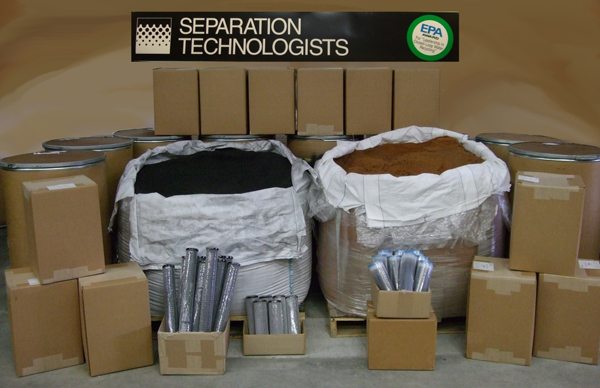 Every single lot of resin received by Separation Technologists is tested for Total Capacity and Operating Capacity. STI designed and manufactured a dual resin test station for quality assurance. We use this test station to measure both the total and operating capacity of every container of resin that enters our facility. The total capacity test follows a very precise lab procedure in accordance with industry standards. The test results are expressed in milliequivalents per milliliter (meq/ml) and/or (kilograins per cubic foot) (kgr/ft3). Additionally, by carefully following a very strict procedure of ionic measurement, flow rate and total volume processed, we can determine the operating capacity of that shipment of resin. By testing our resin, we demonstrate leadership in the industry and ensure that the products we ship to our customers are of the highest quality. All testing performed at our facility is recorded and available to our customers upon request. Also, all batch numbers are transcribed on shipping documents to the user. This documentation can also be useful as a complement to the customers’ ISO program and for troubleshooting process problems that might occur.